Arsenal have been handed a fitness boost with the early return of Sokratis Papastathopoulos to training (via Arsenal.com). It’s another crucial Premier League match with Arsenal hoping to get back to winning ways after the defeat to Manchester City last weekend. The Gunners take on Huddersfield Town at the John Smith’s Stadium and have been handed a boost ahead of the match. 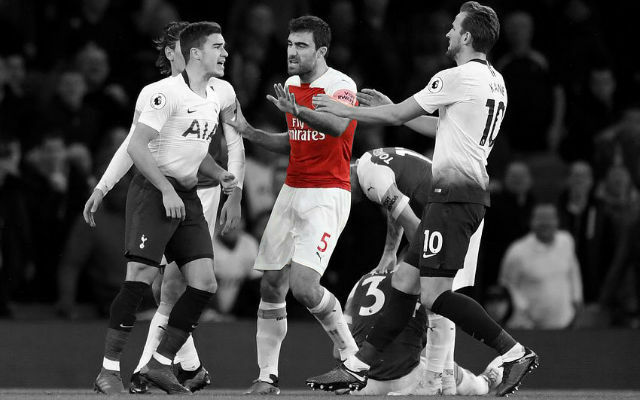 The club has announced that Sokratis Papastathopoulos has returned to training after picking up an ankle injury during the 3-1 defeat to Manchester United last month. The former Dortmund man is yet to return to full training but it’s good to see him back in action at London Colney. Shkodran Mustafi and Henrikh Mkhitaryan are both back in full training while Granit Xhaka and Ainsley Maitland-Niles are being assessed ahead of the match. It’s good to see so many players returning from injury for the Gunners. The busy festive period always causes fitness problems with the players but hopefully, that has been put behind them.